Your Step Into the Foray of the Meaningless World of Golf Blogging. 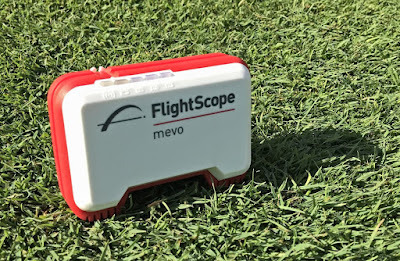 This past Sunday I decided to get on the FlightScope Mevo and check my numbers for each of my irons in my bag. I am going to get fitted for irons at TrueSpec Golf this weekend and I wanted to see what my current performance looked like. Yesterday, I discussed this on my Twitter feed. 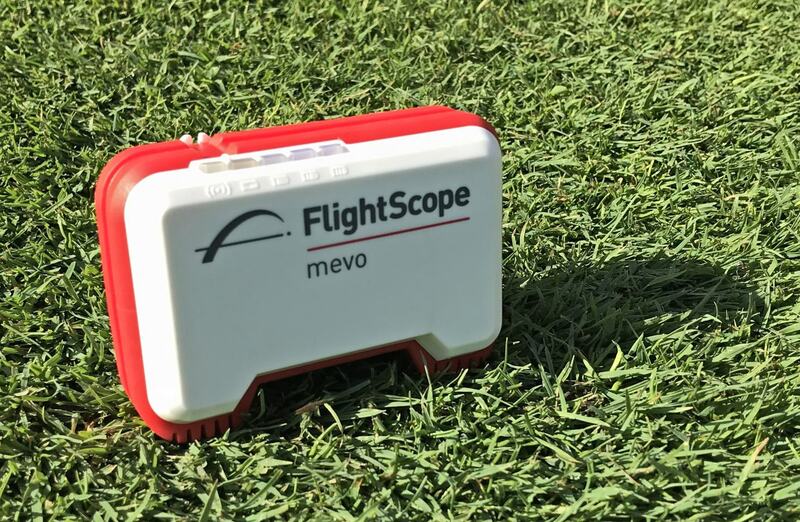 If you're using a launch monitor to go thru your bag and need to limit your swings to stay fresh, I recommend doing about 5-6 shots with each club and using the median numbers instead of the mean. I hit these balls off a mat, so the ball is likely to launch a little higher and spin less because of the tendency for the mat to compress as you're striking the ball causing strikes higher up on the club face. 1. The immediate issues are the distance gaps between the 9-iron and PW (23.9 yards) and then the SW (52*) to the PW (20.3 yards). I want those closer to a 1-club difference (10-12 yards). 2. I will be interested in seeing what the lofts are on my PW (Srixon Z945) and my 52-degree wedge (Miura K-Grind). If it's not a loft issue, it may be specific swing mechanics issues and/or perhaps my MOI matching of clubs puts too much weight in the head with the PW and the SW.
3. The 5-iron is a bit of an issue as well. The standard deviation in carry yards (6.3 yards) along with the deviation in the Spin Rate (1,018 rpm) furthers the belief I have had that the lie angle and/or loft may be off. I think it's a lie angle issue given how I was able to hit one shot 192.3 yards and another 199.4 yards with my 5-iron. I'm guessing the club is too upright and that effectively raises the loft thru impact if I'm a smidge off with my swing. 4. 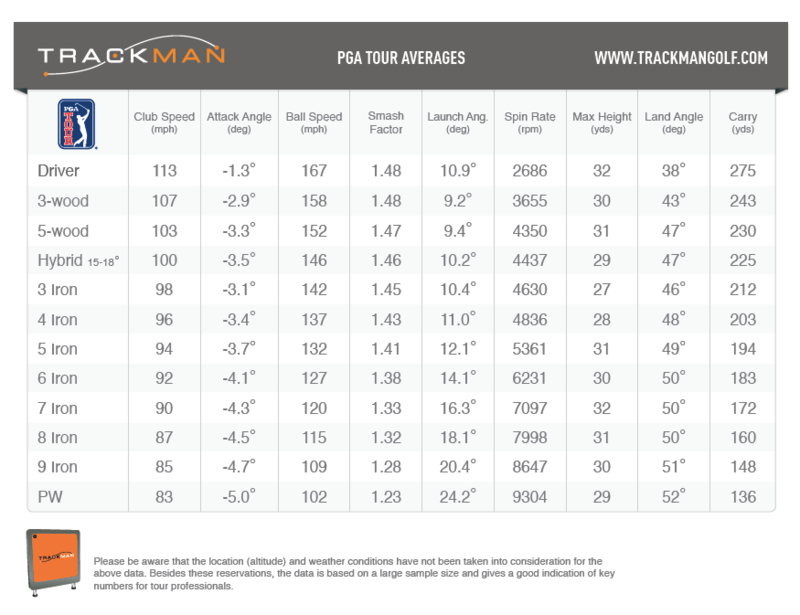 The S-Wedge reading may be false due to the bad reading of 67.5 mph club speed on shot # 24. I think with the full swing the ball launches perhaps too high with the S-Wedge to get accurate readings. 5 . 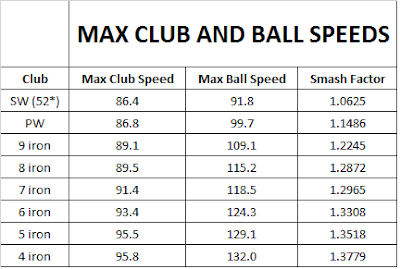 My club speed and ball speeds were not too far off from the Tour averages. I am curious to see how much the launch angle increases versus the spin rate decreasing when hitting off a mat. My contention is that my launch angle tends to be high and I need to keep the spin rate down to not lose to o much distance. In the end, a lot of it comes down to improving swing mechanics and consistency, but the issues with the PW and SW yardages was an eye opener as well as the confirmation that there may be some spec issues with my 5-iron. Interesting you say you use 3/8" increments. I modified and old set to these increments, but really didn't experiment much with them before buying a new set that has standard increments. Debating going to -1/2" short or trying the 3/8" increments again. Can you elaborate on your iron lengths? As seen on Golf Digest, GolfWRX.com and heard on Fairways of Life show with Matt Adams.